I'm off to Catalunya this weekend, to be a jury member at the Cycle Touring Film Festival being held in conjunction with the Cycle & Walking Tourism Conference in Palafrugell & Begur on the Costa Brava. While most of my work deals with increasing bicycle traffic in cities through infrastructure and positive marketing, I have been in the loop about cycle tourism on many of the visits I've made to other cities and regions. It's an interesting area of growth. 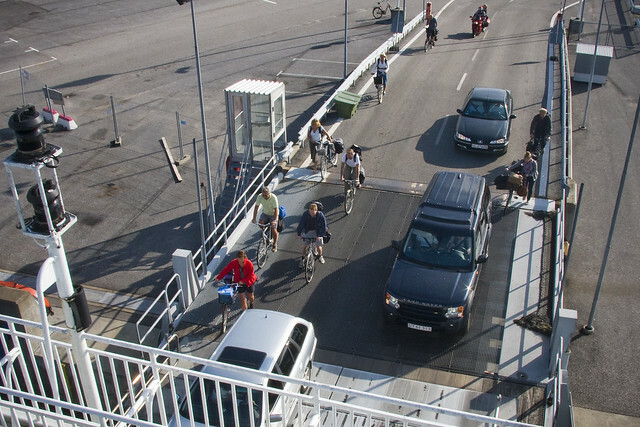 Some countries are investing heavily in cycle tourism and Germany is the grand old man in the industry. 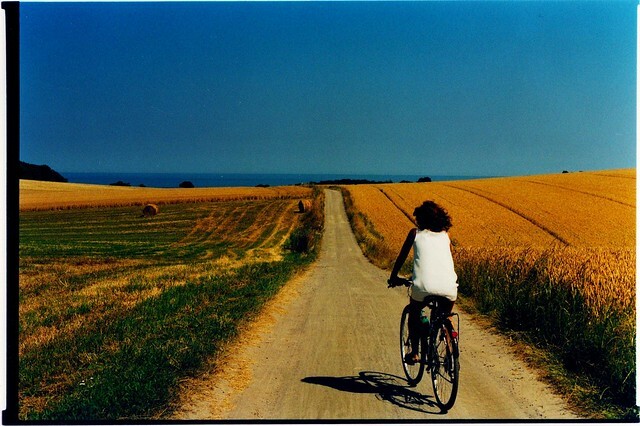 Czech Republic and Hungary, too, are focusing on getting more cycle tourists to visit their regions. I'm looking forward to networking about this growth area. 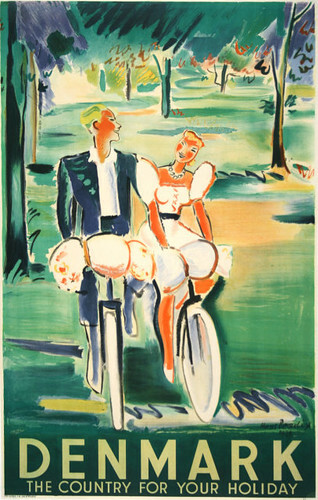 Denmark has a long tradition as a cycle touring destination, as the poster above attests. It dates from the late 1940's and shows how Denmark was keen on attracting the British - then the world's most enthusiastic cycle tourists - to this country. At another conference in Catalunya last April I had the pleasure of meeting a Dane - Jens-Erik Larsen - who was responsible for the idea of creating the world's first national cycle route network. He now works on the development of the impressive EuroVelo route system. Read more about that in this earlier post. As for me, I'll be on the beach, in the cinema and attending a Cycle Chic party.